So you guys would know I've been making a homebody sweater and I should have a review of the pattern and the changes I made up. But I made it in Acrylic, a fairly cheap one at that. It was tester and a lot of fun and I will wear that jumper until it dies :D... But a couple of problems with it. I used 10ply worsted weight acrylic, the USA style spot saver from spotlight and it worked up beautifully soft. However, it is quite a heavy yarn and I used a 5.5mm hook so the resulting fabric is quite solid. 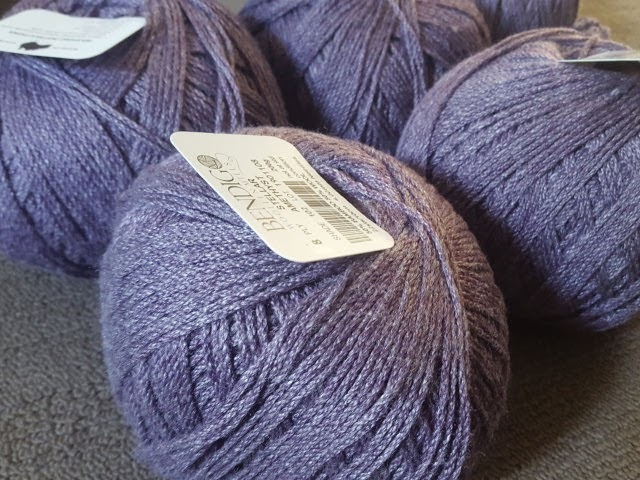 Soo my finger slipped last week and I ordered some Bendigo Woollen Mills Steller 8ply. This yarn is beautiful :D and I am looking forward to making a jumper in it. I love the wool/bamboo blend and the colour is just delicious!! 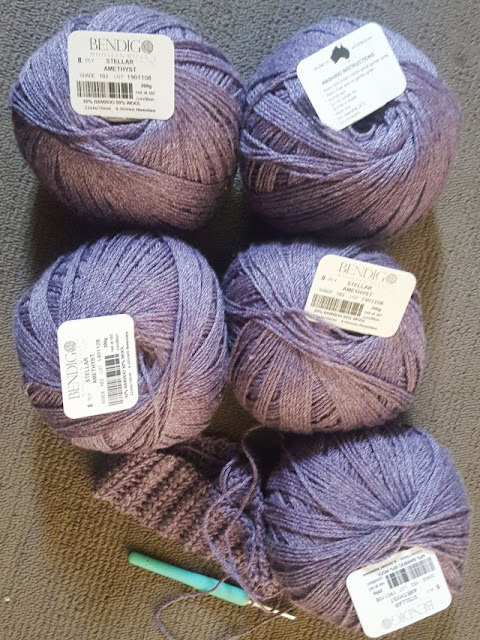 I ordered 5 balls in the Amethyst colourway and as you can see here I didn't manage to take photos before starting my project with it! 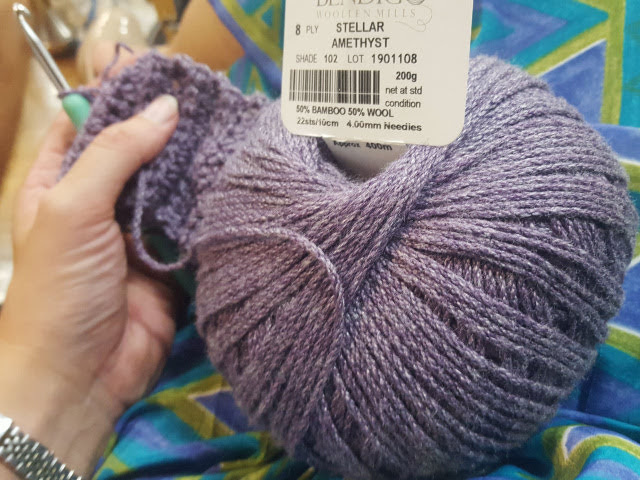 This yarn is so beautifully squishy and feels just gorgeous to touch! I am so excited to be working with it! 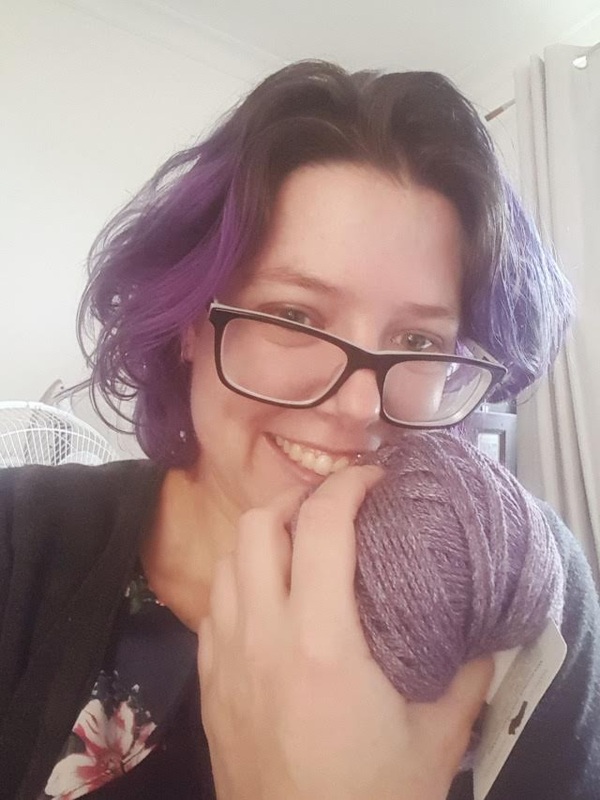 This is me at band during rehearsal working away on the band for my sweater! I got it that day and started working with it that night... that never happens! Have you had an oops moment recently and received so pretty happy mail? Hope, everything goes well with your finger and you could complete great works. Oh, if I had a dime everytime my fingers "slipped" on Amazon for just about everything...well, I probably wouldn't be broke all the time!! Plus, it IS an amazing color, so well worth it! :D yeah it would be nice to be paid when your finger slips!